Move Our Money is a project powered by The New Bottom Line and The Other 98% . We're working with self-organized groups of individuals, community groups, congregations and more to move $1 billion out of the big banks, specifically focusing on JP Morgan Chase, Bank of America and Wells Fargo. The New Bottom Line , is a new and growing movement fueled by a coalition of community organizations, congregations, and individuals working together to challenge established big bank interests on behalf of struggling and middle-class communities. Together, we are working to restructure Wall Street to help American families build wealth, close the country’s growing income gap and advance a vision for how our economy can better serve the many rather than the few. Coalition members include PICO National Network, National People’s Action (NPA), Alliance for a Just Society, and dozens of state and local organizations from around the country. 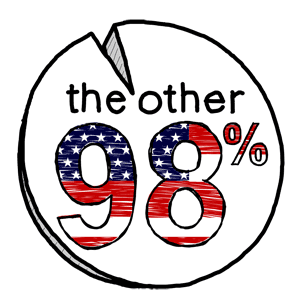 The Other 98% is a grassroots network of concerned people fed up with the status quo in Washington. We seek practical solutions to the many challenges facing America. We stand against the bankers, CEOs and lobbyists who have hijacked our democracy to serve themselves at the expense of everyone else. We manage a non-profit organization and never put the organization’s money into big corporate banks, but have continued to support the smaller community banks, even though it is not always convenient. We can’t report any money moved because it’s already there. Is Union Bank considered among the ranks of the offenders? I understand that they are Japanese-owned. This site is protected by LetterDash.co, the lawyer letter platform.